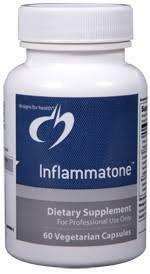 Inflammatone is a dietary supplement created by Designs for Health to help modulate the inflammatory response. 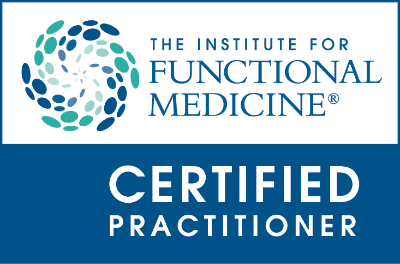 Inflammation is the bodys natural defense mechanism to protect from illness and injury. Inflammation removes harmful stimuli, cells that are damaged, irritants, and pathogens so that the body can begin to heal. Inflammation is normally a good defense mechanism, however, there are times when even chronic low-level inflammation can lead to serious health complications like heart disease, cancer, Alzheimers disease. Inflammatone vegetarian capsules can be used instead of over-the-counter or prescription anti-inflammatory medications. Besides helping help address and prevent inflammation from damaging tissues and organs in the body, Inflammatone also offers other health benefits. Among these benefits include treatment for migraines and headaches, alleviate swelling in joints and muscles, treatment for muscle cramping, and treatment of irritable bowel syndrome. There specifically chosen herbs and nutrients offer free radical protection as well. It is important to remember, while dosing, the capsules should be taken between meals and on an empty stomach. This will make it easier for the formula to flow through the GI tract and be circulated. Suggested Use: As a dietary supplement, take two capsules daily, between meals, or as directed by your health care practitioner.